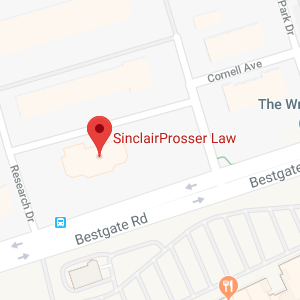 SinclairProsser Law is a full service elder law firm and estate planning law firm that provides help to clients in Crownsville, MD. Everyone should have an estate plan in case something happens to them, even if you are young. We can help you to create your plan. We also provide assistance with financial planning, asset protection, incapacity planning, and other matters that affect your future. Give us a call as soon as possible to find out why clients throughout Crownsville trust us to provide legal help with estate planning and elder law issues. Crownsville, Maryland is a census-designated place located within Anne Arundel County. There are just over 1,700 people living in the area, which is best known for hosting the Anne Arundel County Fair each autumn. During the September fair, people from around the county flock to Crownsville. Many visitors also come to Crownsville for an annual Maryland renaissance festival, which takes place over several weekends during the summer. Crownsville spans 5.1 square miles and is home to communities including Arden on the Severen and Herald Harbor, both of which are waterfront communities. The town is accessed by Route 178, which runs directly through the center. Crownsville is also bordered by Interstate 97, which creates the southern edge of Crownsville. Crownsville is home to the Eisenhower Golf Course, which was the first public golf course located in Anne Arundel County. The Golf Course dates back to 1969 and covers more than 220 acres. Crownsville is also home to the Generals Highway Corridor Park, which is maintained by the Anne Arundel County Department of Recreation. Crownsville also has a large population of people of Lebanese heritage, with around four percent of residents identifying as being of Lebanese descent. This is the largest percentage of Lebanese Americans located in a place outside of the state of Michigan. In Crownsville, 4.1 percent of all households are made up of seniors who are aged 65 or older and who live alone. The Department of Aging and Disability in Anne Arundel County provides resources and support to seniors living in Crownsville. There are details on senior living centers, as well as information on caregiver workshops and resources. Seniors should look into the different services for the elderly and the disabled so they can get help maintaining their independence and enhancing their quality of life. Seniors also need to plan for incapacity and create a legacy plan. There are legal tools under Maryland law which can make it possible to protect yourself and your family, but you need to understand how the law works so you can take advantage of protections available to you. A Maryland estate planning and elder law attorney can provide the type of assistance that you need to make sure you create the most secure future possible for yourself and for the people you care about. Caring.com reports there is one nursing home located within Crownsville, MD as well as around 20 additional nursing homes in nearby areas including Annapolis, Severna Park, and Gambrills. Choosing the right nursing home is a big decision, and making plans for how to pay for nursing home care is one of the most important asset protection steps that you can take. SinclairProsser Law can provide you with help in making advanced plans for nursing home care, including in researching and selecting a nursing home before care becomes necessary. You want to make these plans before care is needed so you and your family are not forced to make this important choice when a pressing medical need arises. Because Medicare and most private insurers don’t cover custodial routine nursing care, it is also important to make advanced plans for how a nursing home will be paid for. We can help, so give us a call as soon as possible, as protecting assets needs to begin early if you want nursing home care covered from day one. Because Crownsville is located in Anne Arundel County, legal matters which must be addressed in court will be handled within the Anne Arundel County court system. Orphan’s Court is the name for the court in Anne Arundel County where probate and estate matters are resolved. The court handles wills and estates and gets its name from the old City of London Court for Widows and Orphans. The Maryland General Assembly adopted the name in 1777, after Lord Baltimore brought the court system to his colony. There are three Orphan’s Court judges in each Maryland County, except for in Montgomery and Hartford Counties. In Anne Arundel County, the orphan’s court can be reached at 410-222-1418, according to the Office of the Register of Wills. For those whose loved one has died or whose loved one has become incapacitated, going to this court for guardianship proceedings, probate, or related legal proceedings may become necessary. If you need to go to court to wind up the affairs of an estate after death or to make sure your incapacitated family member can be cared for properly, SinclairProsser Law can provide you with assistance. We also help you to make an advanced plan to keep matters out of court so your family can save money and avoid the stress of legal proceedings. SinclairProsser Law is trusted by many throughout Crownsville, MD who need help with elder law and estate planning matters. Whatever your concerns about the future, we can provide you with advice on using legal tools available under Maryland law to achieve more security in the future. We assist with creating wills as well as with a variety of other estate planning and elder law matters. To learn about the personalized legal services we can provide to you, give us a call at 410-573-4818 or contact us online .